Dr. Garner is a native Floridian from Miami graduating from Palmetto High School. He has been practicing chiropractic for 13 years since graduating from chiropractic school from Life University in 1999. Before graduating he became the Pediatric Club Vice President and has since been caring for many children, families, and pregnant women in practice. Also in chiropractic school he became proficient in Chiropractic Biophysics technique, the most advanced technique in the chiropractic profession becoming club certified in school and then doctor certified in 2008. Dr. Garner is married to his wife, Michelle and they have 3 beautiful children: daughter Alyssa 23 years old, son Brook 3 years old, and daughter Summer 2 years of age. We would also like to acknowledge Dr. Garner for serving our community in the United States Marine Corps for 4 years immediately following high school. 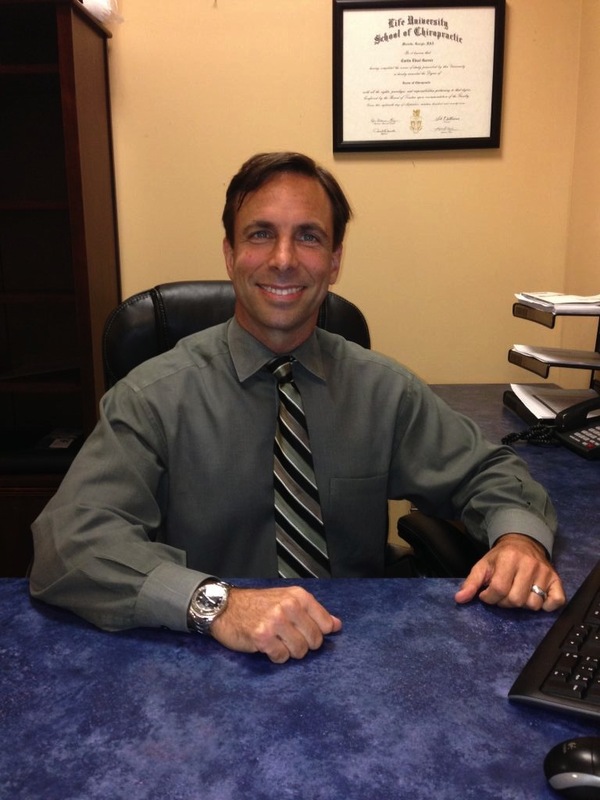 In addition to families and children Dr. Garner has a vast experience in treating auto accident victims and many athletes from high school wrestling, minor league baseball players, triathletes, martial artists, swimmers, and NBA legend Grant Hill. Dr. Garner's mission is to educate and adjust as many people and families as possible to be healthy, happy and more connected to their higher selves and the world around them. We are blessed to have Dr. Garner here with us at East Side Chiropractic Center.